Singapore’s property developers are set to gain additional pricing power over the next 18-24 months, Deutsche Bank said in a note last week. That’s due to continuous en-bloc sales announcements taking completed supply out of the market, the bank said, adding that it saw “upside risk” to its forecast for 10 percent growth in average selling prices (ASP) this year. 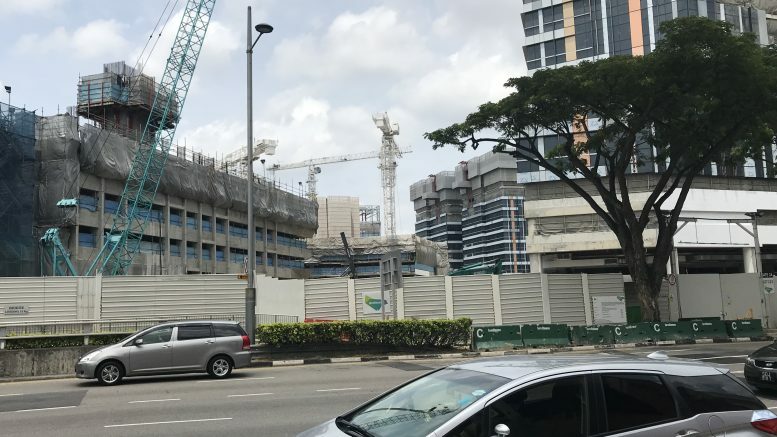 But the bank noted that despite strong performance in Singapore’s physical property market, the developer shares have underperformed over the past month. Growing concerns the government may introduce cooling measures amid rapid price growth. For the first quarter, the index for private residential property prices jumped 3.1 percent on-quarter, according to the flash estimate from Singapore’s Urban Redevelopment Authority. Uncertainty over the interest-rate outlook. Lower risk tolerance amid ongoing macro events. Deutsche Bank didn’t specify which macro events it was referring to, but markets have been roiled recently by trade-war threats from the Trump administration. But while the bank said investors may remain uncertain over developer shares in the near term, it expected the Singapore residential property market would see a longer cycle. It stuck with a positive view on its developer top picks: City Developments and UOL Group, both of which it rates at Buy.